Keeping blues from sounding stale is an art these days, with the likes of The White Stripes and The Black Keys being some of the few to reinvigorate it. 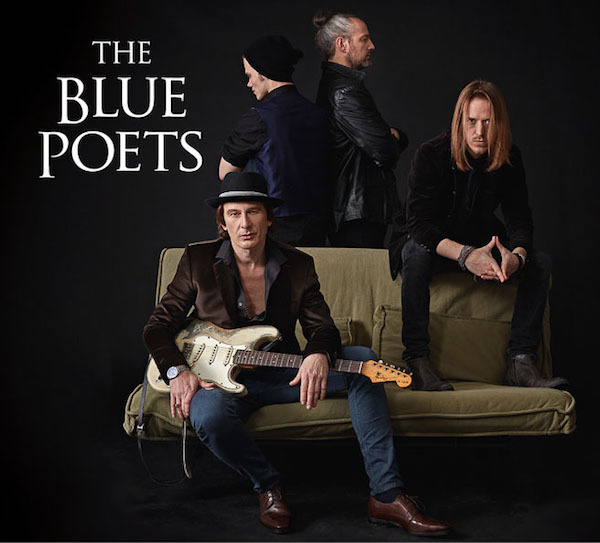 In Marcus Deml’s latest project The Blue Poets, the band have crafted self-titled album that harkens to classics like Cream and Deep Purple, while also taking notes from contemporaries like Gary Clark Jr and Them Crooked Vultures. The album rips open on the stomping riff of “Goodbye” with a catchy chorus line that hits a mysterious note compared to the grit of the main riff. Despite a fairly flourished solo the second half of the song does run a little long. After a moderately overextended intro “Too High” hits its stride as the whole band kicks in. Once it starts its mixes parts Cream and Deep Purple for a track that rocks with classic flair. The band jumps into a Brian Setzer-style rock shuffle on “Sad, Sad, Sad” with all the excitement and pizzazz without the orchestra. The track instead opts for more distortion and ironically darkly themed lyrics. The blues slow-jam arrives on “Alien Angel” as the band sinks into a groove and builds emotion slowly and precisely. “Sunshine of your Love” covers the Cream classic, with a higher sense of dynamics than the original ever did, even down to the intro. With these changes the band still manage to do justice to the original like in its solo where the band trades playing along with throwing in their own freestyle. On “Shallow Love” the band takes a simple riff-driven song and throw in enough unique elements in their pre-choruses and bridge to give it life. 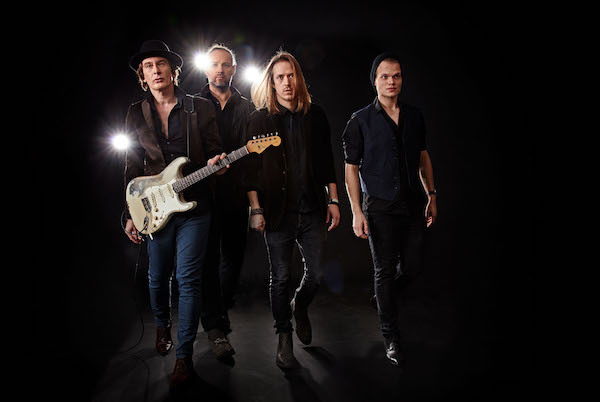 The 12-bar blues come alive on “It’s About Time” with enough playing around from the band to give it the soul the genre needs. “For A God” finds the band mixing dark themes, on an almost Bond theme sounding track. The track is the most powerful and interesting on the record with raw emotion pouring out of every lick and the overall grandeur of the composition overtaking any other track on the record. “Won’t You Suffer” rolls on a lick reminiscent of Them Crooked Vultures, before going into a delightfully dark pre-chorus and hitting its amazingly catchy chorus for one of the most fun tracks on the record. Going to the album’s end, the band drops the blues chug on “The Truth” before going to the final soulful jam on “With Your Eyes,” that goes from light to heavy in a powerfully epic way.